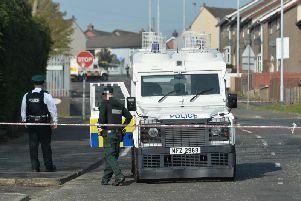 A man has been shot in both legs in a paramilitary style shooting in Carrickfergus. Police are appealing for information following the attack in Dunluskin Gardens, Carrickfergus this evening, Wednesday, 29 June, shortly after 5.30pm. The victim has been taken to hospital for treatment to his injuries. Chief Inspector Rosemary Thompson has appealed to anyone who was in the area of Dunluskin Gardens and may have witnessed the incident to contact Detectives at Reactive and Organised Crime, Larne, quoting reference number 889 29/06/16. Alternatively, if someone would prefer to provide information without giving their details she has asked them to contact the independent charity Crimestoppers and speak to them anonymously on 0800 555 111.